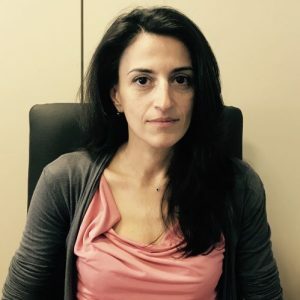 Vicky Korou serves as ICT Sales Manager for FSI in COSMOTE, and has 15 years of professional experience in Information Communication Technology, with business and technical acumen and deep understanding of the Financial Sector, Utilities, Enterprise. She has also accumulated 8 years of experience in driving innovation in the Finance Industry and helping companies leverage technology in new ways, enabling them to meet rapidly changing consumer needs as well as market dynamics. With a remarkable track record in creating opportunities, sustain revenue and business growth, Mrs Korou is considered an expert in bringing together technology trends & capabilities to meet business imperatives across the industry. Strong account management skills, business development capabilities and multiyear business relationships, enable her building strong and long lasting partnerships both with customers as well as partners.